Such is the power of the dynamics of transformation. Prime Minister Recep Tayyip Erdoğan’s “switching-on” of the Kurdish peace process at the very end of December 2012 showed how deeply “Turkish glasnost” was hidden in the depths of the sociopolitical fabric. It has now unleashed whatever was left unaccomplished. Careful followers of the intensifying debate in the media, of the pulse-taking visits of the “wise people” to Anatolia and of the scenes of frustration in the town squares are now being invited to think that what I call “glasnost à la Turca” — with its stop-and-go characteristics — has now gained new dimensions. This does not mean rising opposition to the peace process, but a sense of being left out in the dark, not being informed enough. In this sense, the “wise people” journeys do help us to understand that thorough work needs to be done to convince the crowds of the coastal strips about a happy ending to it all. The intense debate, often in conflict with Turkey’s stiff legislation, does also help us understand the devil in the details. We now know even better, for example, that a new, draft constitution which includes a new system of a (semi) presidential model is not in the bag for the AKP hopefuls. 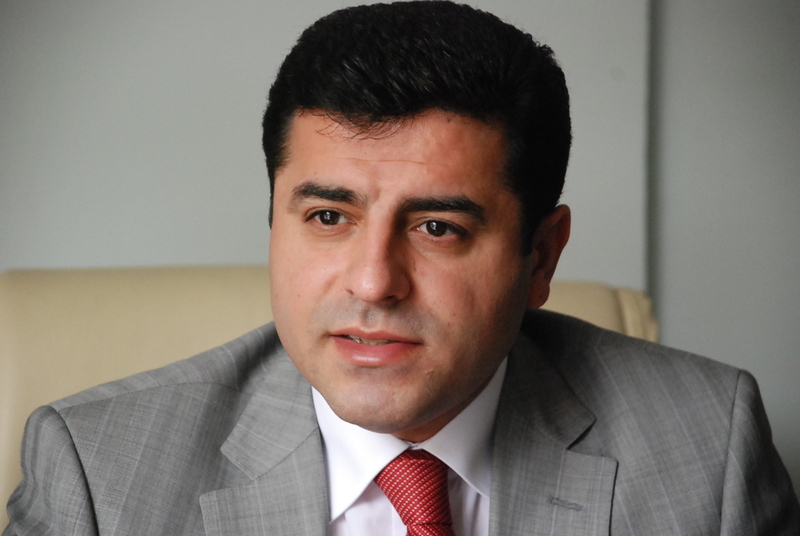 A recent interview in the Taraf daily with the Peace and Democracy Party’s (BDP) co-chairman, Selahattin Demirtaş, shows that the party will be tough when discussing a possible AKP-signed draft. The BDP seems to have a great deal of opposition to Erdoğan pushing through a further empowering “one-man rule” system, it voices reservations on maintaining a tutelary mechanism of the exclusively Sunni Religious Affairs Directorate as a constitutional institution and shows determination on women’s rights. Turkey’s enhanced glasnost also helps us see the genuine political fault lines more clearly, within the CHP as well as the extreme-right Nationalist Movement Party (MHP). At this stage one can expect a thorough process so that all the camps really mean what they say and do. As I have been arguing constantly in this column, Kurds — both conservative and secular — of this country are key to the completion of the glasnost that has dragged on for far too long; but it is also about the darkest past. Without a proper reckoning with the Ottoman Armenians’ tragedy which has defined the tenets and the mentality of the republic, closure of the transformation taking place will never feel complete. Today, as the descendants of those who perished as a result of ruthless, genocidal policies of the Committee of Unity and Progress (CUP) commemorate the horror from their homelands in Anatolia, we are only two years away from the 100th anniversary of the Aghet (Catastrophe) — the annihilation of the Ottoman Armenians. Turkey’s glasnost has been instrumental to defeat the taboo of the last century in Turkey. Today, on April 24, people will gather in Adana, İzmir, Ankara, Batman, Bodrum, Dersim, Diyarbekir and İstanbul. Every year, the number of participants has increased: from 700 in 2010 to 3,000 last year. But the question is whether Turkish glasnost, if successful in sorting out the Kurdish peace process, will also help lead to a proper apology from Ankara in 2015. No one is sure. The rapprochement with Armenia being frozen, the pressures of a rich Azerbaijan and its lobbies having increased and the lack of a culture of “institutionalized repentance” are all reasons for pessimism. They are also backed by behind-the-scenes preparations for watering down the memory of the tragedy, by focusing all attention in 2015 on World War I and Ottoman suffering. It is, of course, on the wrong track. The real virtue is in the double apology: first on the tragedy, second on the denial.